. Today, we start a new partnership with OVD-Info, an NGO that monitors politically-motivated arrests in Russia. Every Friday, we’ll bring you the latest information on freedom of assembly. In several cities, protest participants and organisers weren’t detained out of nowhere, but, for example, on the suspicion that they “were about to commit an offence” (Sakhalin) or were arrested as such after the protest (Saratov). Reporters Without Borders has found that 14 journalists were arrested in four cities across Russia, and in the fifth, a journalist was attacked. In Moscow, a separate operation was carried out against Alexei Navalny’s Anti-Corruption Foundation (which released the video that catalysed the protests), whereby the foundation’s employees and volunteers were detained, as well as the media team that were broadcasting the protests from the office. Nikolai Lyaskin, an adviser to Navalny, was beaten after being detained in Moscow, and he had to be hospitalised as a result. And the OVD-Info team’s website, which had been monitoring detentions across Russia throughout the day and coordinating legal help for those arrested, was subject to a DDoS attack for many hours. 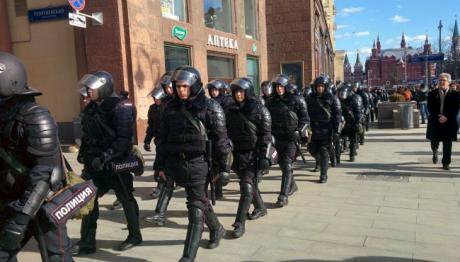 Towards evening on 26 March it became known that Russia’s Investigative Committee had opened a criminal case in connection with an attack on a riot policeman in Moscow. Investigators visited police stations in the capital where detainees remained in order to question them. Later, the Investigative Committee announced that it had begun an investigation into alleged evidence that protesters had been promised money for participation. 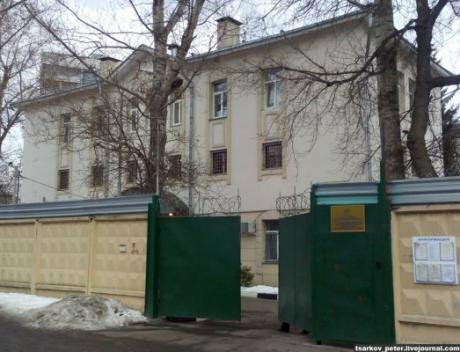 .Monday saw Moscow courts begin their work with the cases coming out of the capital's police stations — the result was 27 administrative arrests (the majority received seven days detention and above; Nikolai Lyaskin received 25 days). Indeed, the arrests continued on 28 March, too, with 34 people sent to administrative detention centres (an updated list of names and locations can be found here). 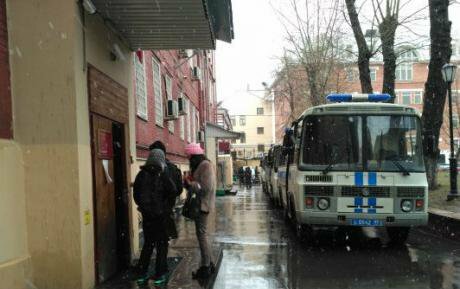 As a result, rights defenders discovered a previously unknown detention centre in central Moscow (Petrovka 38), where detainees are being threatened and interrogated. Arrests and trials have also begun outside Moscow. Makhachkala, capital of Dagestan, is the only city where the court, despite the number of protesters, decided to let detainees off with a verbal warning. There’ve been other forms of response, too. In Nizhny Novgorod, parents of teenagers detained during the protests are facing charges of “improper care”; teachers have been looking for children who took part in the protest; in Volgograd, schoolchildren have been summoned to the Investigative Committee, and the police detained students in higher education institutions; in Cheboskary, witnesses have been detained in court and then faced trial; in Rostov-on-the-Don, there was an attempt to send one person for psychiatric tests. Meanwhile, the police have asked for some organisations to hand over their CCTV records. If you want to know how to behave in court, OVD-Info has prepared some useful instructions here. There is also information, prepared with legal assistance in mind, on what consequences under-18s can expect after being detained. Several protest groups have their own plans for what comes next. The authorities, as it turns out, do too. On 27 March, long-distance truck drivers prepared to hold a country-wide strike against the Platon system of road taxation, although trucker association leaders faced difficulties prior to starting. Andrei Bazhutin, director of the Association of Goods Transporters of Russia, was arrested for 14 days on charges of driving without a license (later the sentence was reduced), and there was also an attempt to take his children away from him. On 28 March, farmers in the Kuban prepared another “Tractor March” to Moscow, but participants were arrested beforehand. One of the participants, Oleg Petrov, was accused of extortion, and he announced a hunger strike in response. Meanwhile, unknown assailants attacked a Radio Liberty TV crew who had traveled to film a segment about the march. Finally, Russia’s Supreme Court has left the 30-month prison sentence against Alexey Kungurov, a blogger from Tyumen who wrote an “inflammatory” post about Syria online, in force. On 2 April, Memorial Human Rights Association will hold a legal seminar for those who were detained at protest actions together with Russia Behind Bars, OVD-Info, Civic Verdict, Progressive Right and independent legal experts. We’ve received a lot of money for our monitoring work this week, and we’re unbelievably thankful for this trust to everyone who supports us. Find out how you can help here.